Threaded metal inserts. Powder coated surface texture. Solid as a rock. Deck out your MODX with these must have accessories. Old school feel meets new school sequencing. The Cable Commanders have arrived. A new unique way to organize your patch cables. Rack 'em deep and make 'em beep with these stylish dual tier stands. 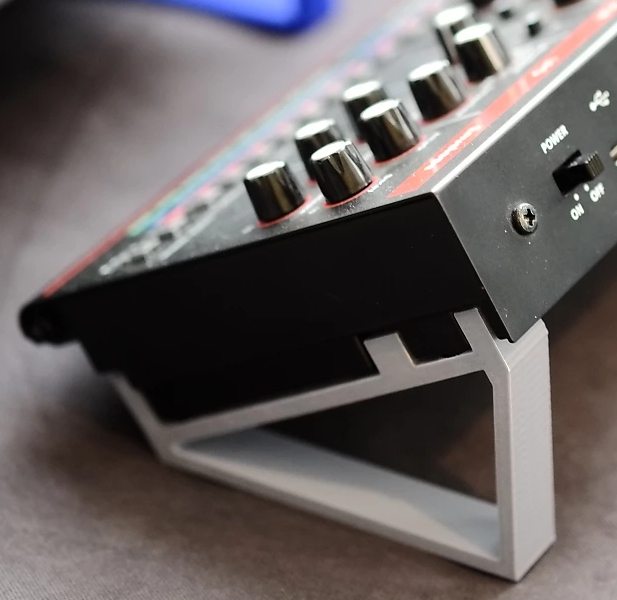 On-demand 3D Printed Synthesizer Accessories. Hello and welcome to 3DWaves. Our goal is to make objects that help people enjoy their instruments more, whether it is by improving visibility, changing the ergonomics, or adding a different aesthetic. We have been making 3D printed synthesizer accessories for over 4 years and have a lot of experience/knowledge under our belt. Feel free to check out our store, visit our dealers, or send us an email if you have any questions.